Discover a different way to help clean your dog's teeth with Purina DentaLife Daily Oral Care small/medium adult dog treats. Each treat features eight distinct ridges to clean right down to the gumline, including hard-to-reach teeth. The porous texture contains thousands of air pockets, and the chewable design keeps him busy while he works to keep his teeth clean. Enjoy knowing you're helping care for his smile, and let him delight in the tasty chicken flavor that makes each of these dog snacks a true treat. With a 57% average reduction in tartar buildup, these adult dog treats deliver a breakthrough clean you can both smile about. 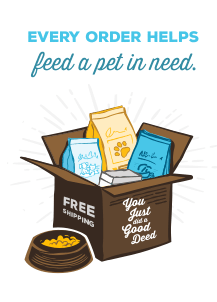 Give your dog a Purina DentaLife dog treat whenever he deserves a daily reward, and help care for your best friend's teeth by offering him a product backed by a satisfaction guarantee (see packaging for details). Part of caring for your dog's health is helping him to maintain healthy teeth, and Purina DentaLife Daily Oral Care small/medium adult dog treats help you do that. We craft these tasty dog chew treats with wholesome ingredients and without any artificial colors or flavors, so you can feel good about the snacks you serve your beloved dog. This DentaLife product gets your dog chewing to clean even those hard-to-reach teeth in the back of his mouth and promote fresh breath. Our formula is scientifically tested to reduce tartar buildup and accepted by the Veterinary Oral Health Council (VOHC) as a product that effectively reduces tartar buildup when used as directed. Make these dog treats a part of your dog's daily oral care routine, and serve them according to the feeding instructions based on his weight as an addition to your dog's complete and balanced diet. If you have more than one dog in your household, explore our full line of DentaLife dog treats to find the right option for each dog's size. We know you care about where your dog's foods and treats are made, which is why we proudly produce this formula in our Dunkirk, New York facility. Our dedicated staff works hard to ensure quality is the #1 priority in everything we do, and each batch undergoes safety and quality checks to provide you with added peace of mind. Rest assured knowing that the science behind these treats is backed by more than 90 years of Purina's commitment to helping make pets' lives better. We package these adult dog treats in resealable pouches to preserve freshness and to provide a convenient way to serve your dog the treats that help keep his teeth clean and breath fresh. Offer him Purina DentaLife Daily Oral Care small/medium adult dog treats, and let him know how much you care about his health and happiness with every mouthwatering bite. Rice, glycerin, wheat flour, sodium tripolyphosphate, malted barley flour, chicken by-product meal, mono and dicalcium phosphate, sorbic acid (a preservative), calcium propionate (a preservative), sodium bicarbonate, BHA (a preservative), BHT (a preservative), calcium carbonate, citric acid.